ISO 14001 is the global standard for Environmental Management Systems (EMS). The standard provides the framework for businesses to demonstrate their commitment to environmental responsibility. 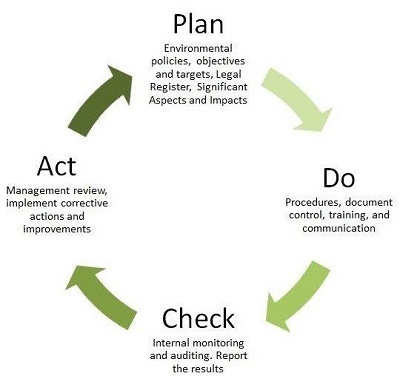 The goal of the ISO 14001 standard is to give the top management of any organisation a framework for managing its environmental aspects & impacts. Because of its generic nature and universal acceptance, ISO 14001 has the potential to affect the environmental management practices of virtually every manufacturing company in the world - its impact even extends beyond the industrial realm. Any company whose products, services or day-to-day activities have an impact on the environment needs to be aware of ISO 14001. By adopting this standard, you will demonstrate a commitment to control your impact on the local environment. You may not even realise how much of this you already do, as you are already controlled to a large extent, by law - ie; waste regulations, emissions etc. Like ISO 9001, ISO 14001 is a product of the International Organisation for Standardisation. ISO 14001 is the internationally recognised standard for environmental management. Of the group of ISO 14000 standards, ISO 14001 is the actual standard to which companies are certified. Because of the world's current recognition of the problems facing climatic change, experts are already predicting that the impact of this dynamic standard will surpass the vast popularity of the world-renowned ISO 9001 quality standard. ISO 14001 measures the level of conformance of an organisation's EMS against specified requirements. 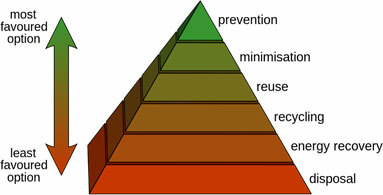 The benefits of showing conformity to the ISO 14001 standard are numerous. For example, assuring compliance to the vast array of environmental regulations requires significant effort and steady attention. Having a well-defined EMS framework for these efforts, as defined in ISO 14001, will certainly help ease the burden for providing a systematic approach to compliance. Also, regulatory bodies arguably seem to offer companies a certain "flexibility" contingent upon proven performance and public accountability records. In this day and age, more and more potential customers are demanding that suppliers adopt environmentally friendly practices as part of their service provision. Indeed ISO 14001 certified organisations will actively seek suppliers who can demonstrate similar standards to their own. Therefore it makes sense to implement an environmental system of your own to ensure you can meet the ever growing pre-requisites for potential contracts. Basically, it requires you to look at what you do & how you do it. Then you assess the impact that your activities have on the environment (positive & negative). You would then identify what you can control or influence and set yourself objectives to reduce any significant impact. To do this, you will develop targets & programmes to achieve them. Through careful planning, you would implement appropriate processes and use sustainable materials to help you achieve these targets. You would provide the necessary awareness for people carrying out these processes in order they adhere to them. You then monitor how well things go and take corrective actions whenever things don't go to plan. In addition you would develop a series of emergency response plans to deal with abnormal circumstances. As with all management systems, you will then review the system on a regular basis to ensure it remains effective.